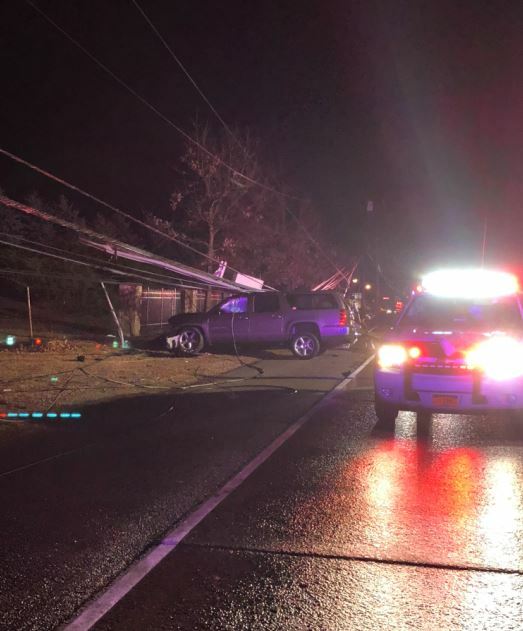 The Dix Hills Fire Department responded to a motor vehicle accident on December 23, 2017, at about 8:15 p.m. on Deer Park Avenue south of Ryder Avenue. 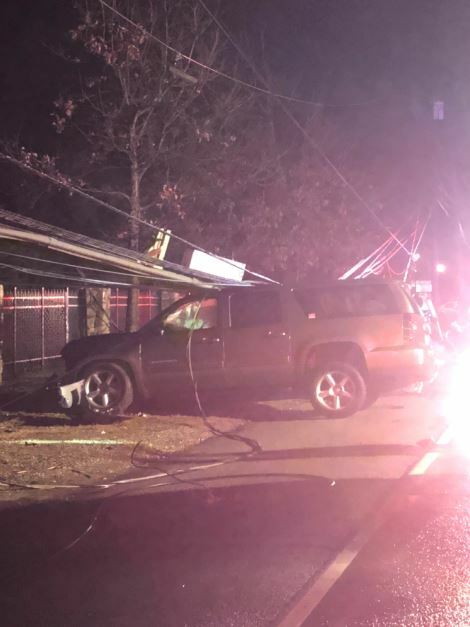 Three people sustained non-life threatening injuries after an SUV struck and knocked down a utility pole, electrical transformer and wires. 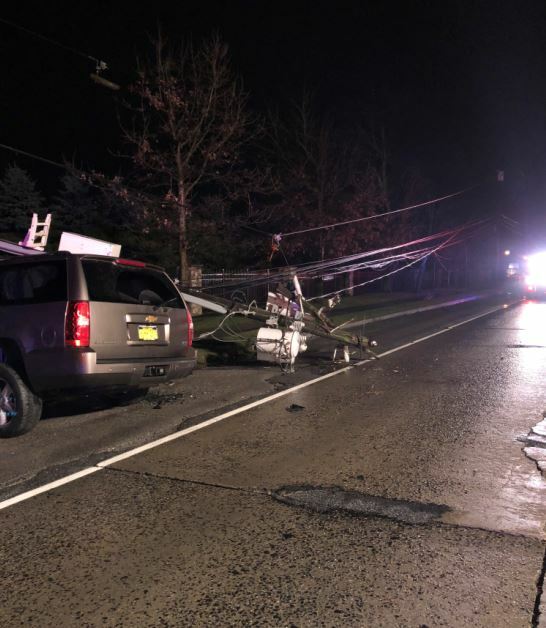 Two heavy rescue trucks, two ambulances, paramedic and first responder units were dispatched under the direction of Chief Tom Napolitano. The three occupants were transported to Huntington Hospital by the Dix Hills Rescue Squad.